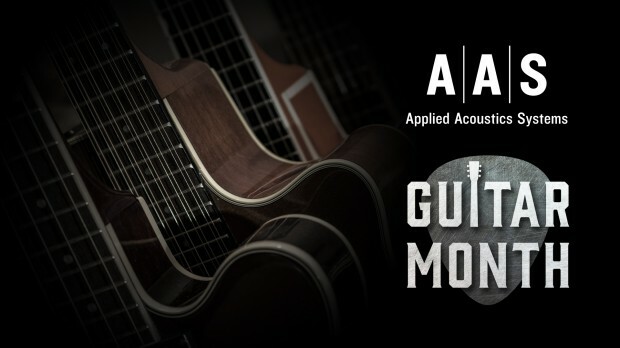 Applied Acoustics Systems have some of the most realistic virtual guitars we have ever heard and they are on sale during ‘Guitar Month’ at 50% off. It’s a fantastic opportunity to add some to your collection. Strum GS-2 & Packs is a plug-in for the production of guitar tracks. With an impressive collection of acoustic and electric guitars, automatic chord recognition, sophisticated chord voicing, integrated strumming and picking action, MIDI riff library, amplifier, and effects, playing guitar on a keyboard has never been so easy. Strum GS-2 makes creating guitar tracks in a DAW environment a straightforward endeavour as it reproduces the sound of a huge range of guitars but also the playing technique of a guitar player. Objeq Delay is a truly creative and fun effect with multifaceted applications. Objeq Delay is obviously a great delay unit, but the complete feature set takes it to another level. Good Folks sound pack features many styles of folk music inspired by some of the most renowned artists in the genre. With its 12 folk styles, 95 guitar presets, and 84 strumming patterns playable with your own chord progressions, let Good Folks become your go-to source for all your modern and classic folk music needs. Pop Rocks is the first of a line of sound packs for Strum GS-2. A fun sound pack that rocks out pop-infused acoustic and electric guitar goodness. Power Chords fits a variety of production flavors supercharged with attitude. Ranging from sparkly clean sounds all the way up to high-gain territory. This entry was posted in DontCrack, Plug-ins, Promotions, Sounds, Uncategorized, Virtual Instruments and tagged Applied Acoustics Systems, Good Folks, Guitar Month, Objeq Delay, Pop Rocks, Power Chords, Strum GS-2, Strum GS-2 & Packs. Bookmark the permalink.